I thought this card would be perfect for the week!!! 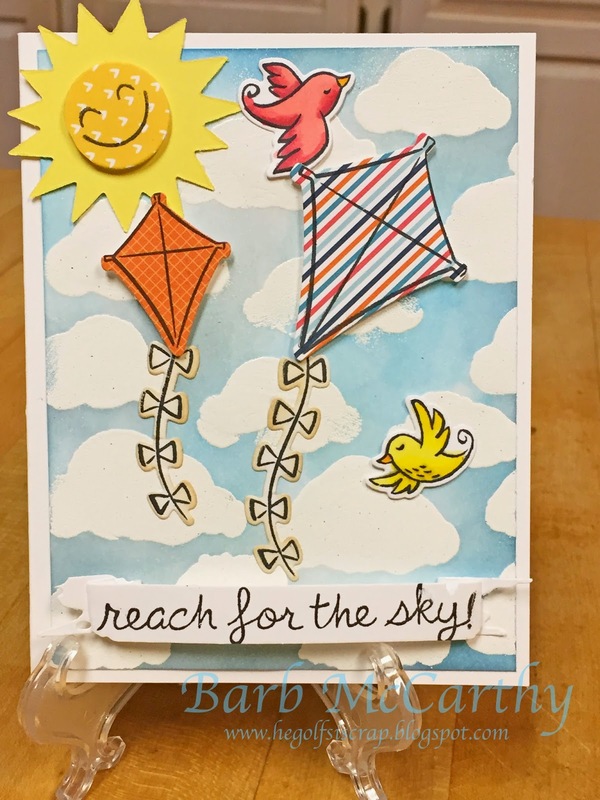 The background was made with Ranger's Embossing Dabber, Stampendous White Embossing Powder, My Favorite Things Cloudy Day stencil and a couple of Distress Inks. 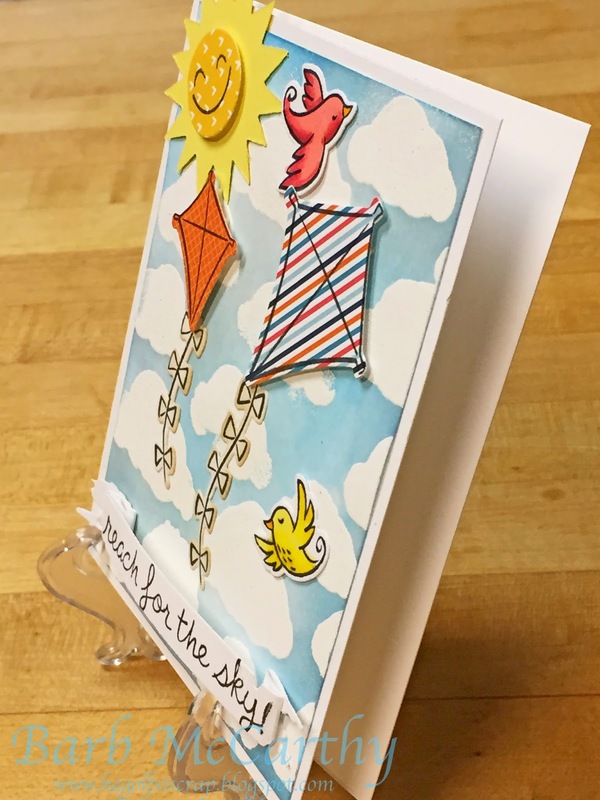 I used Lawn Fawn's "Sunny Skies" for the elements and sentiment.